Bees live in colonies, in which there are a minimum of 15 000 – 25 000 bees during the winter rest and up to more than 60 000 bees during the summer. 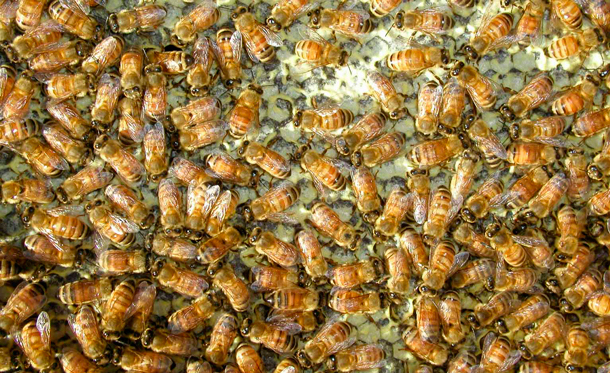 The colonies consist of one fertile queen bee, the infertile females, i.e. the worker bees, the male bees, i.e. the drones, and the larvae.